Fort Lauderdale, FL, July 14, 2015 (Newswire) – ​​​Fanplayr the industry leading ‘Data+Actions’™ Service for eCommerce retailers, today announced a partnership with Rand Marketing – a full service digital agency specializing in interactive marketing campaigns, digital strategy and web site development for Magentoand WordPress sites. The partnership is designed to compliment Rand Marketing’s suite of successful strategies for driving quality traffic to eCommerce sites such as SEO, retargeting, PPC, and affiliate marketing. The collaboration between Fanplayr and Rand Marketing will meet a growing demand to increase conversions rates throughout the digital marketing funnel. Fanplayr’s Data Platform for eCommerce retailers provides real-time intelligence and actionable insights to eCommerce retailers and service providers, enabling behavioral targeting of visitors while they are shopping online. Fanplayr’s service empowers merchants to ‘Convert more eCommerce Visitors using Personalized Real-time Targeting’. Fanplayr’sonsite conversion service generates significant uplifts to Conversion Rates, Average Order Value, Revenue per Visit and new Customer Acquisition Rates. 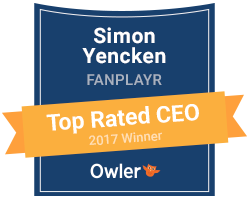 Fanplayr is a privately held company with headquarters in Palo Alto, California and offices in Mumbai, Milan, and Tokyo. For more information or to request a consultation visit http://fanplayr.com/#home-contact. Rand Internet Marketing, a division of Rand Business Services, based in Ft. Lauderdale, Florida, offers a full line of design and marketing services including logo design, graphic design, website design, responsive web development, search engine marketing, and social media marketing. Rand specializes in professional responsive web design and development including WordPress websites and Magento eCommerce websites, mobile site design and development, search engine optimization (SEO) and pay per click (PPC) marketing. Rand also offers video production, video marketing, full color printing, reviews and reputation management, product photography, merchant services and a variety of other professional business services. If you are in the market for a new website, or looking to generate more leads and sales through internet marketing, let the Rand Internet Marketing team help you design an integrated strategy that will help your business succeed. For more information, call 888-707-RAND or request a consultation online at http://randmarketing.com/request-consultation/.